Network Refrigeration & Air conditioning Pty Ltd was established in December 2002 with the aim to provide quality refrigeration and air conditioning installation, maintenance and 24 hour 7-day service. Our Northside business, based in Brendale, specializes in the design, supply, installation, service & maintenance of commercial refrigeration & commercial and domestic air conditioning. We cater for refrigeration and air conditioning plant & equipment in Supermarkets, Butcher Shops, Fruit Shops, Restaurants, Schools, Private Hospitals, Entertainment arenas, Offices & small to medium commercial entities. 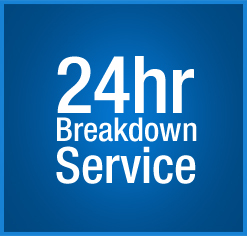 Our company provides 24-hour service & supplies superior service in all aspects such as quality installations, products, maintenance & servicing in the refrigeration & air conditioning industry. Our team members are experienced, qualified, licensed & rostered on call 24 hours a day, 7 days a week. Our vans are fully equipped & carry many spares with them to enable the technician’s to carry out immediate repairs. At NETWORK REFRIGERATION & AIR CONDITIONING PTY LTD, we are committed to the Health and Safety and development of our employees, sub-contractors, customers and the communities in which we operate. We aim for no accidents, no harm to people and no damage to the environment by reducing emissions and waste We aim for complete customer satisfaction of our most demanding clients through the delivery of superior products and providing quality work and outstanding service, and ensure we maintain public trust by always acting in an ethical manner.